Help us raise enough money to get books to 1,200 girls! We are girls who want to help other girls be the best that they can be. We are called Generation WOW and we're inviting you to join us in giving. Starting on Giving Tuesday and continuing through the holiday season we're asking you to support girls leadership and SHARE THE WOW with us. 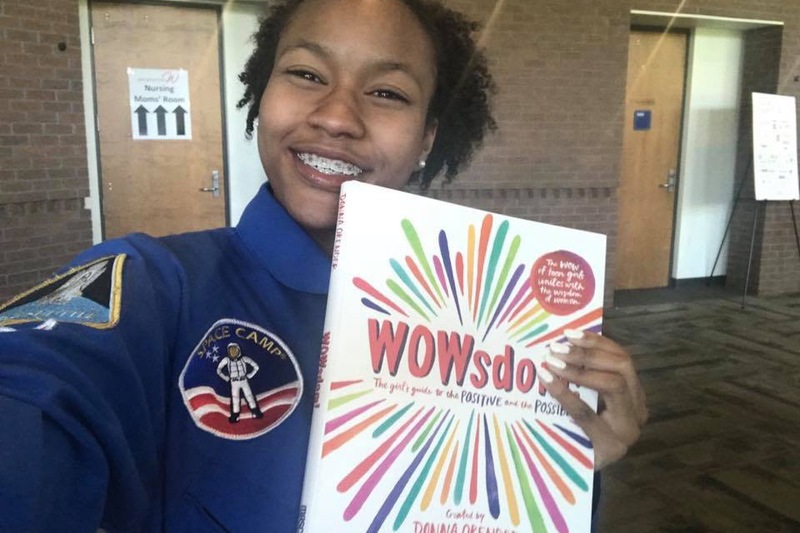 We've been inspired by a book that celebrates the WOW of girls and the WISDOM of women joining together to create a magical learning experience. It's called WOWsdom! The Girls Guide to the Positive and the Possible. Click here to experience the book for yourself. We know first hand what a difference this book can make in a girl’s life. By Sharing the WOW we are letting girls know that we are in this together and that they are not alone. The stories in WOWsdom! teach us about confidence and leadership and ways that we live our very best lives. We want to share these lessons with as many girls as we can. Each of us has shared a personal goal of where and with whom we will SHARE THE WOW. Keep reading to find out more about all of the girls who together we will be helping. Our starting goal getting books into the hands of the first 1,200 girls, and any donation will do - even $5 will help us! The sky is the limit as we invite YOU, supporters who believe like us that we can make a difference to help each other! Actually, we would invite anyone who would like to team up with us who wants to support girls!! Join us in our effort to Share the WOW. Just contact us and let us know who you'd like to Share the WOW with in your community. We will show you how to join the WOW Team! 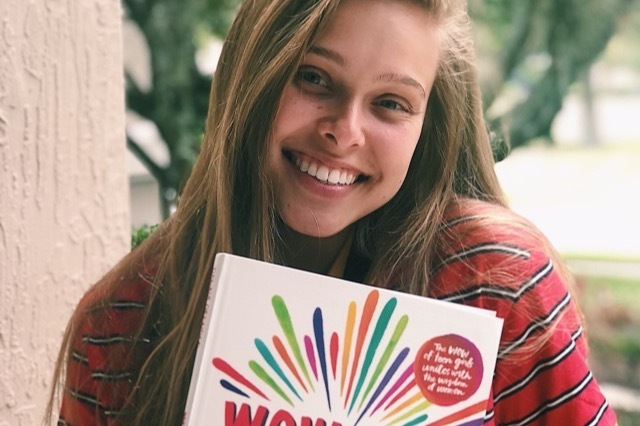 I'm Maddie and as President of Walt Whitman High School’s Generation WOW chapter, I choose to give the WOWsdom books to Sources of Strength, a mental health awareness association at my school. Sources of Strength is an organization, created by the National Alliance on Mental Illness (NAMI), run by appointed students and staff at Walt Whitman High school (located in Bethesda, MD). Teens face a lot of emotional challenges during high school, however the stress is amplified at Whitman due to the academic rigors within the school and from pressures at home. I have been a member of this organization since my freshmen year; however, it had more of an importance to me when a Whitman student and friend of mine ended her life over a year ago. By donating WOWsdom books, I want women to understand the power that they hold within them and know that they are important. Women should constantly be inspired by other women and know that they are in a community that they can trust and turn to for support. The words of WOWsdom are a medicinal healing that a woman can read at any moment- to know she is not alone. This is why I am donating these books to Sources of Strength at Walt Whitman High School. Hi! I'm Taylor and I am so proud to be a Generation WOW Ambassador. I have been a WOW girl since 7th grade and just love being part of this great group of girls who are about giving and sharing. 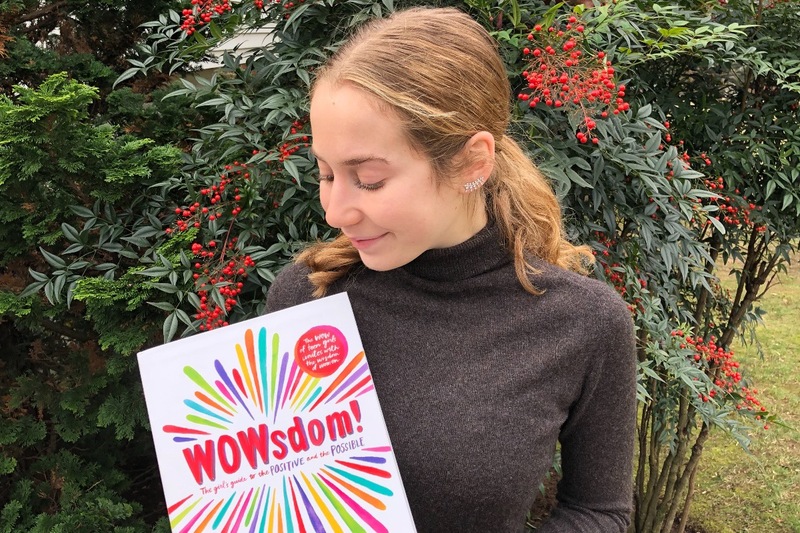 I am also honored to be a contributor to WOWsdom! You can check me out, Ad Astra on page 131. 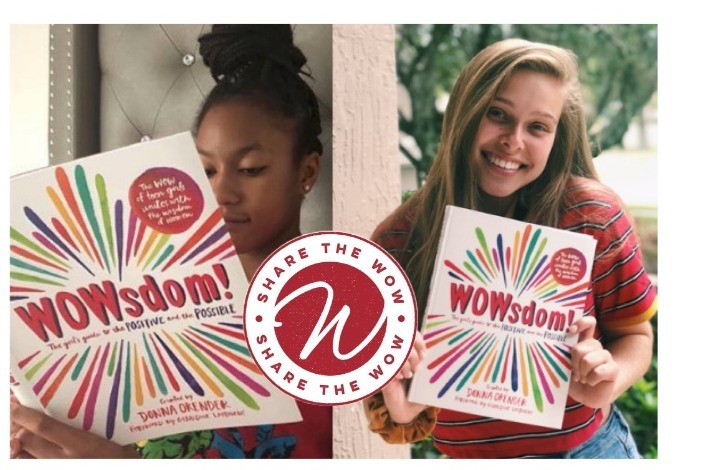 I've already Shared the WOW by donating books to girls in Ghana and now, I want to raise enough money so that every middle school girl in my home town of Jacksonville Florida can receive a book. WOW girls believe in the positive and the possible! Join me in believing in the positivity of girls helping each other. Our goal is Every Girl Everywhere! Won’t you help us better the lives of girl - one book at a time. Hi! My name is Grace. I loved the WOW experience so much that I began a WOW club at my school. It must have been a good idea because now there are almost 40 clubs happening in multiple states. I believe silence is the real crime against humanity. That's what I wrote in my WOWsdom! contribution which you can find on page 160. I can't believe my story is amongst so many amazing stories from remarkable people. That is why I want to Share the WOW. The book has been really helpful to me and I want to pass that along. Specifically, I want to provide some support for girls who have spent time in a shelter for abused women so my WOW will be shared with the Hubbard House and Betty Griffin Center, both shelters for battered women and their children in my community.. Please join me in helping them. Share the WOW! Our goal is Every Girl Everywhere! Won’t you help us better the lives of girls - one book at a time. Maddie is the newest girl helping better community by sharing the WOW! Find out where books will go! 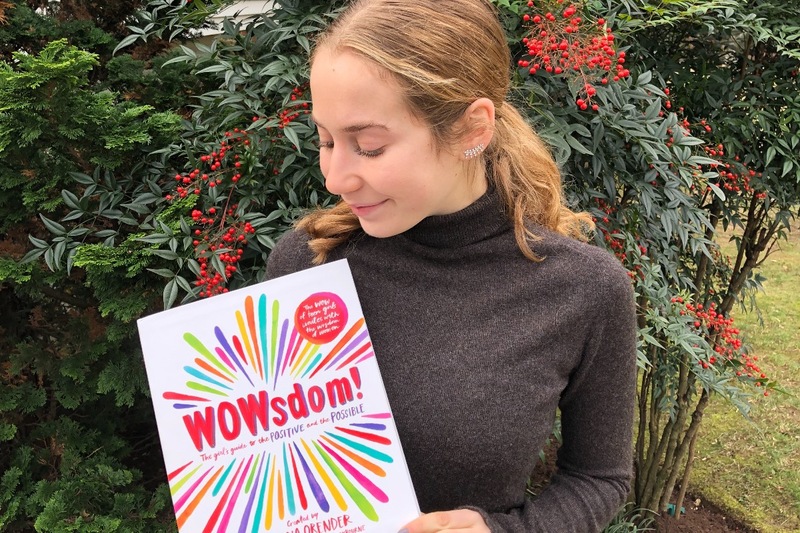 As President of Walt Whitman High School’s GenerationWOW chapter, I choose to give the WOWsdom books to Sources of Strength, a mental health awareness association at my school. Sources of Strength is an organization, created by the National Alliance on Mental Illness (NAMI), run by appointed students and staff at Walt Whitman High school (located in Bethesda, MD). Teens face a lot of emotional challenges during high school, however the stress is amplified at Whitman due to the academic rigors within the school and from pressures at home. I have been a member of this organization since my freshmen year; however, it had more of an importance to me when a Whitman student and friend of mine ended her life over a year ago. By donating WOWsdom books, I want women to understand the power that they hold within them and know that they are important. Women should constantly be inspired by other women and know that they are in a community that they can trust and turn to for support. The words of WOWsdom are a medicinal healing that a woman can read at any moment- to know she is not alone. This is why I am donating these books to Sources of Strength at Walt Whitman High School.